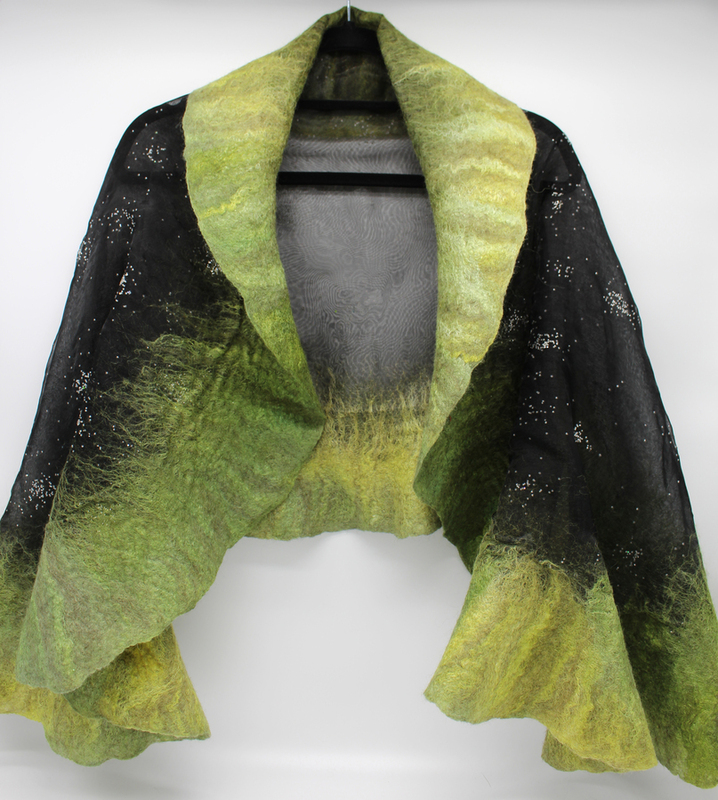 Hand felted Nuno Wrap. 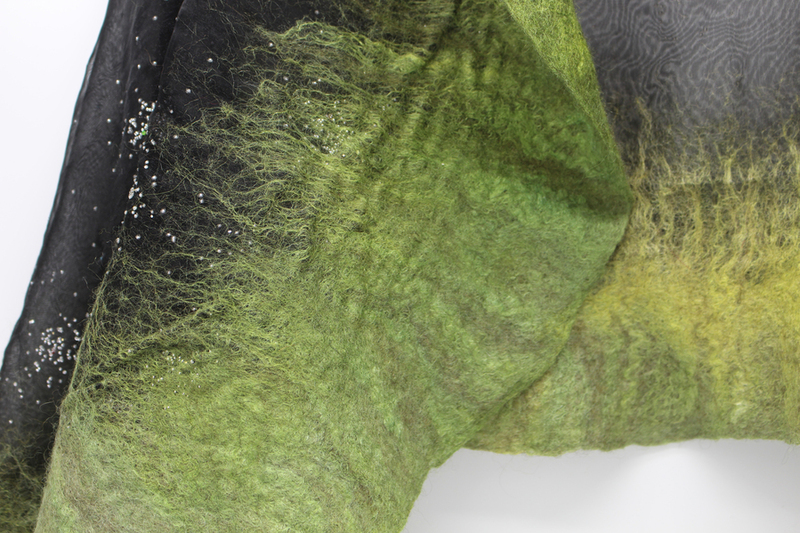 Wool & silk fibres in shades of green with polyester organza which has sparkly detail, a very pretty wrap. Size 149cm x 62cm. Can be hand washed gently in cool water and spun dry. Cover with a cloth if ironing to protect sparkly detail and use low heat, iron on reverse of wrap not front.